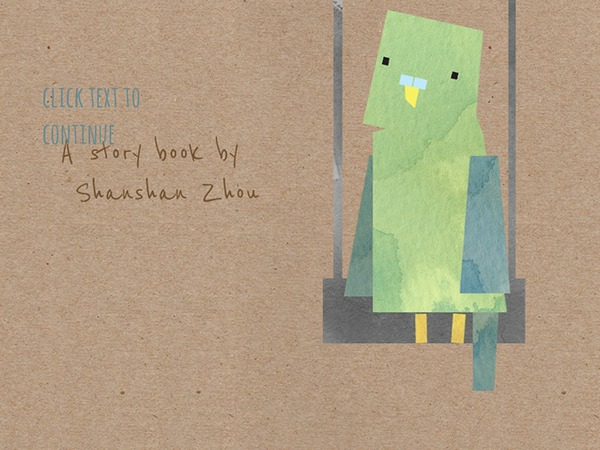 An interactive children's book written and programmed by me, running on iPad. 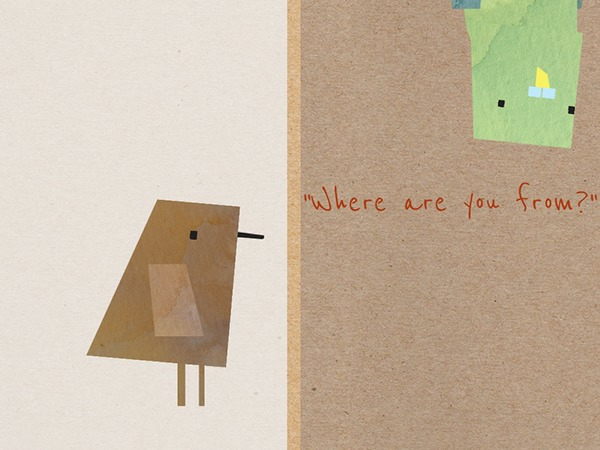 The expressions and reactions of the Budgie was not hand animated, but done procedurally through code. Budgie is this lonely boy who lives in a cage by himself, he was miss understood by birds who live freely in the outside world. This story was originally inspired by my experience of cross-cultural miss-understanding. I hope this book can somehow make my young readers aware of how others may live in different realities from themselves, and form empathy of other children who can be "different". 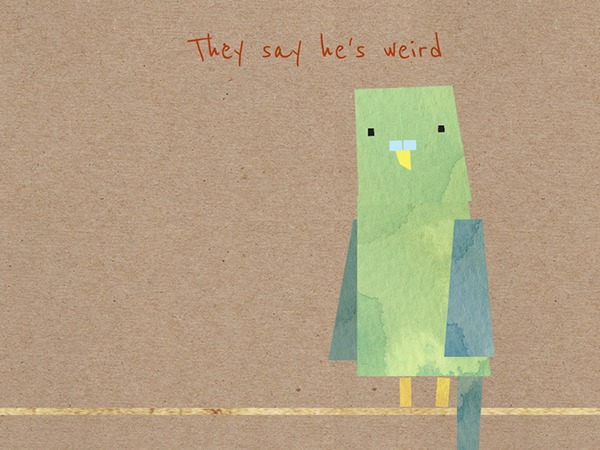 The expressions of the Budgie was not hand animated, but done procedually through code. 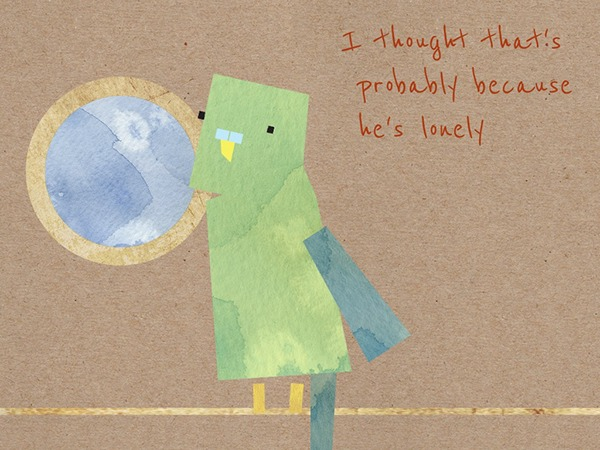 An interactive children's book about this lonely boy who's called Budgie.